Cushion Clearance offers custom Adirondack chair cushions for your home or business. Offering a wide array of in-stock fabrics, Cushion Clearance is confident we have a fabric color or pattern you'll love! If not, we will be happy to use your own fabric. 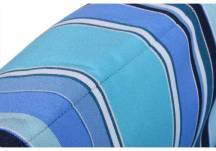 Our custom Adirondack chair cushions come standard without fabric ties. 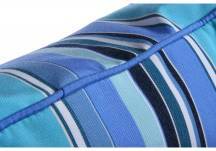 If you prefer to include tie backs, ties will be added to your cushion in the same fabric as your cushion. The average length of all ties will be 23-25" before being put into the seam. After the tie is folded in half and inserted into seam, the actual length is approximately 11.5"-12.5". Why buy your chair cushions from us? 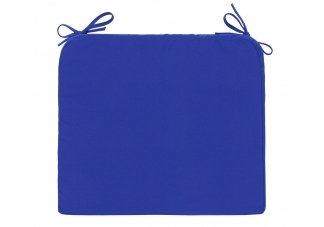 - Choose from hundreds of Sunbrella & Outdura fabrics...or send us your own! We now support COM Orders!